Cargo Management System EDIAir is a powerful and complete cargo management system designed for carriers and ground handlers. Built around an extremely flexible architecture, EDIAir is a modular product, highly customizable. Its particular design make it easy to develop and add new functions using specific modules for each customer. EDIAir use a proprietary format database created with the goal to maximize the speed in responses and processing, to allow to manage complex data structure, to make it easy to export to other databases and paying no license cost. Using new software like EDIAir often force to load old data into the new system. Sychene has a specific experience in this field and he have developed high speed import and conversion tools to load old data into EDIAir faster and easier. EDIAir is able to exchange data with your partners using CargoIMP messages, XML or proprietary messages. Whatever message format you choose to use, EDIAir has a rich range of possibility to send/receive them: SITA, email, ftp, proprietary protocol or over Cargo Community Systems (Traxon etc.). Received messages are saved inside the EDIAir database and they can be read, printed or forwarded to one or more sender (for instance by email). Furthermore, it is possible to configure EDIAir in a way that the reception of a message automatically starts specific processes (booking, flight schedule update etc.). EDIAir has been developed in close cooperation with industry partners from ground handling and carriers. The development has been made implementing procedures able to solve realistic and daily business cases. Besides being a concrete software, resolving problem and offering an high user experience, EDIAir is a dynamic piece of software that continue to grow with the demand and need of our customers. New features and existing procedure improvements are constantly added. 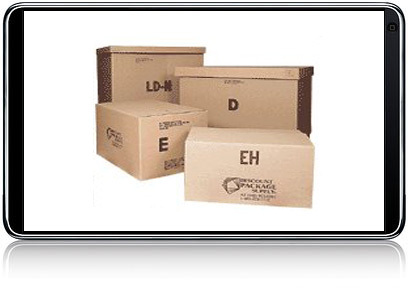 EDIAir is provided with a web interface where your partners can request shipment status by contacting your customized web site saving your time attending phones and email inquiries. EDIAir Host for Ground Handling EDIAir Host for Ground Handling is an invoicing and warehouse management system for air cargo ground handling companies. EDIAir Host is database management structure independet and includes client-server architecture. EDIAir Host is 24h/day, 7 days a week application with extreme high uptime. It includes functionalities for air cargo import/export/transit processes, invoicing and warehouse operations, complex tariffs management, connectivity to the airlines via SITA or e-mails, AWB editing, WEB access for customer tracking and sophisticated users account administration. 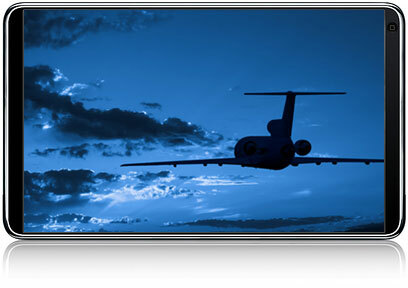 Statistics for invoicing of the handled airlines and management follow up are also included. EDIAir Host for Airline EDIAir Host fo Airline is a Cargo Management System including same functionalities as mentioned under EDIAir Host for Ground Handling – and in addition a space control and capacity management system for airlines. With EDIAir Host for Airline you can manage your cargo space knowing what you hold as booked and the residual capacity of your flights. You can also book on other carrier flights using SITA messages or email. In the same way you can receive booking request on your flights. Automatic booking makes it possible to automatic book a shipment on a flight if the booking request satisfies the configuration. Both systems include a message module with a large selection of Cargo IMP Messages used by the airlines.